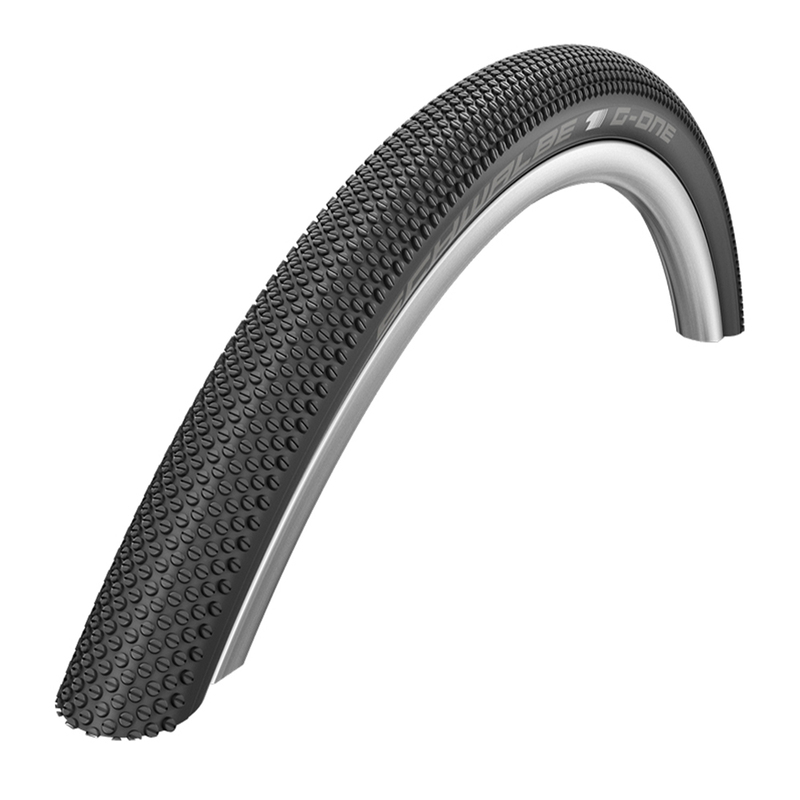 Schwalbe G-One Allround Performance RaceGuard Folding Gravel Tyre - 27.5"
Schwalbe One goes Gravel. The Schwalbe One family provides the perfect tyre for the latest gravel bike trend. The smooth rolling G-One profile make it a pleasure to ride over forest paths and rolling fields; now available as a 27.5” / 650b tyre with more air-volume you’ll be able to float over obstacles with even less chance of pinch-flats. Please Note: This is the performance compound and is not tubeless ready.